When I was still in high school in Spokane I somehow managed to get a gig writing movie reviews for The Spokesman Review. It was all part of a weekly teen section they started and I had the privilege of being a founding member. One of the first films I professionally reviewed was 1992’s Sleepwalkers directed by Mick Garris (Critters 2, “The Stand”) and written by none other than the maestro of horror himself Stephen King. The movie was billed as the author’s first original script conceived exclusively for the screen, and I admit I was pretty excited to see it. Can’t say it was one of my more positive reviews for the paper. If anything, I sort of eviscerated it, this tale of small town girl Tanya Robertson (Mädchen Amick) terrorized by the handsome new kid in school Charles Brady (Brian Krause) and his creepily overprotective mother Mary (Alice Krige) not exactly floating my boat. I found this tale of supernatural, cat-like creatures needing to feed on the life force of wholesome virginal youngsters moderately silly and the incestuous sequences between mother and son downright icky, and based on that initial reaction I can’t say I was ever inclined to give the motion picture a second chance at any point these past two-plus decades. Not saying that was exactly a mistake as I still find Sleepwalkers to be slightly on the forgettable side of the equation, but I cannot deny this is a MUCH better creature-feature than I initially gave it credit for being. It’s a heck of a lot funnier than I remembered, much of the humor so bleak and nasty it’s almost no wonder I didn’t quite understand its various macabre nuances back when I was 16-years-old. I also wasn’t as attuned to just how clever a 1950’s-style throwback much of this was as far as style and tone were concerned, Garris infusing the material with a deliciously old school vibe that’s positively charming. Then there is the titanic performance from Krige. While a lot of the recognizable faces here are wasted (namely Ron Perlman, Lyman Ward and Cindy Pickett) aren’t utilized as well as the maybe could have been, and while Amick and Krause are suitably attractive, it is the Star Trek: First Contact and Silent Hill actress who steals the show. She’s spellbinding as the wickedly devilish mother from cat-creature hell, Mary’s malevolently smothering love for Charles as creepy as it is fascinating. 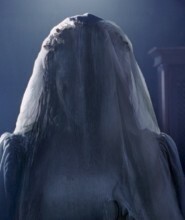 Krige dominates the film to such a degree anytime she isn’t front and center my interest in what was currently happening couldn’t help but wane, the actress a ferociously towering figure impossible to take one’s eyes off of. King’s script does feel a little undernourished and underdeveloped, and the cats-to-the-rescue climax is more than a bit silly. The final creature makeup is also really artificial and plastic-like in its appearance, and while this fits that ‘50s genre aesthetic (even though the movie is set in modern times) Garris was going for, it’s really hard not to laugh the first time we see one of the titular Sleepwalers in all their gruesome glory and it’s even more difficult not to keep giggling every time we see them from that point forward. All that said, I had a good time revisiting Sleepwalker and I’m slightly kicking myself for being so hard on it back in 1992. While far from perfect, it does have some great moments, a terrific performance from Krige, some fun cameos from the likes of Joe Dante, Tobe Hooper, Mark Hamill, John Landis and a few others, a bunch of effective gore effects and whole litany of some rather inventive laughs. I’m glad I gave it a second chance, and for those open to the types of throwback thrills and chills Garris and King are offering up I’d suggest they give it a looksee as well. Sleepwalkers is presented on a 50GB Blu-ray MPEG-4 AVC Video with a 1.85:1 1080p transfer. 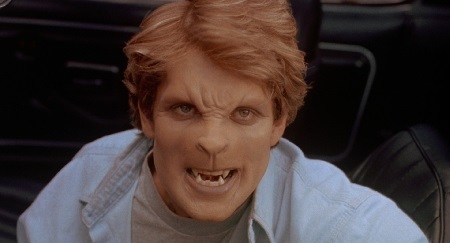 I didn’t give Mick Garris’ Sleepwalkers enough credit back in 1992. It’s a much better film than I originally stated filled with some deliciously devious moments. At the same time, it’s still not the most memorable supernatural offering of the era, and even with Stephen King’s name front and center this still feels like a middle-of-the-road tale from the iconic author than it does one of his essential pieces of horror fiction. All the same, Scream! Factory’s Blu-ray is sensational, and for fans of the film picking this disc up for the personal collection is a relative no-brainer.